William Frederick King was born in 1854 at Stowmarket (Suffolk) in England. His family immigrated to Canada in 1862 and settled down at Port Hope, Ontario. In 1875, he obtained his bachelor’s degree with high distinctions from the University of Toronto, and he also earned the university’s gold medal in mathematics. He spent his free time at the university performing complex mathematical calculations for personal amusement. Later during his career, the University of Toronto awarded him an honorary doctoral degree for his work in astronomy in 1904. King published many scientific articles on astronomy. Without doubt, the most significant was his classic article The Geometry of Orbits in which he described a new method for calculating the orbits of binary stars. The relative obscurity of his scientific career is more than compensated by his famous achievements as astronomer and administrator for the Canadian Government. It was under his guidance that astronomy really took off in Canada, developing first at the national scale and then rising to international stature. King entered the Canadian Government as a land surveyor and topographer in 1872 at the age of 18. He worked on federal lands in western Canada where his knowledge of astronomy was an asset during mapping as it allowed him to determine the longitudes and latitudes of many locations. He rose step by step through the government echelons until his nomination as Chief Inspector of Surveys for the Department of the Interior in 1886. In 1887, King began to pressure the government into creating a federal astronomical observatory. 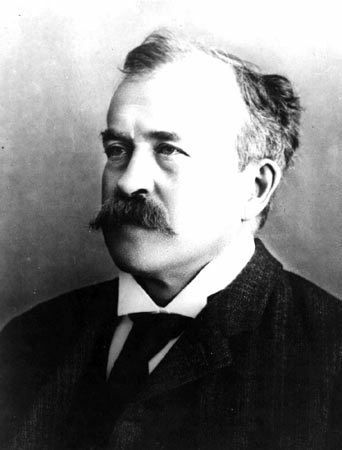 In 1890, he founded the Astronomy Division of the Department of the Interior with the help of Edward Gaston Daniel Deville and Otto Julius Klotz. He became its first director that same year and built a small wooden observatory on Cliff Street. King was nominated seven times as Commissioner of the International Boundary Commission between 1892 and 1908, and he thus helped establish the Canadian-American border. The world longitude network across the Pacific Ocean was also completed under his direction. In 1908, he was named Companion of the Order of St. Michael and St. George for his work. In 1900, he became founding president of the Ottawa Centre for the Royal Astronomical Society of Canada, a position he maintained until his death in 1916. 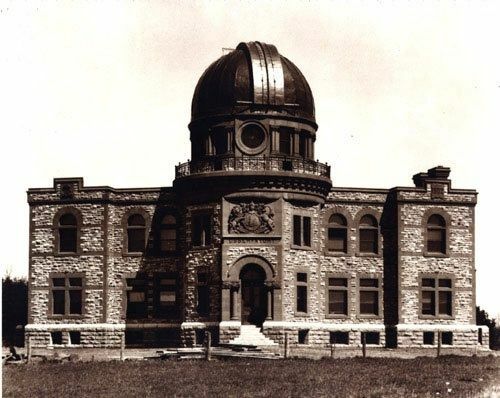 His efforts to create a large and permanent astronomical observatory bore fruit in 1905 with the inauguration of the Dominion Observatory in Ottawa. The observatory was equipped with 38-centimetre astronomical telescope and King became its first director. In 1909, he succeeded where many before him had tried and failed: he founded the Geodetic Survey Division of Canada and became its first director. Using a variety of methods, including astronomical measurements, the Division managed to precisely determine the position and elevation of many reference points throughout the country, which greatly assisted in the making of geographic maps. In 1910, only five years after the creation of the Dominion Observatory in Ottawa, King was in charge of the Dominion Astrophysical Observatory near Victoria, British Columbia, but died before its inauguration. In 1911, King was elected President of the Royal Society of Canada, the highest scientific distinction in Canada at the time. He passed away in Ottawa in 1916 at 62 years old.